This 2014 CobraJet is owned by Joel (Joel's on Joy). It will have a 5.0L naturally aspirated Coyote engine with an automatic transmission. 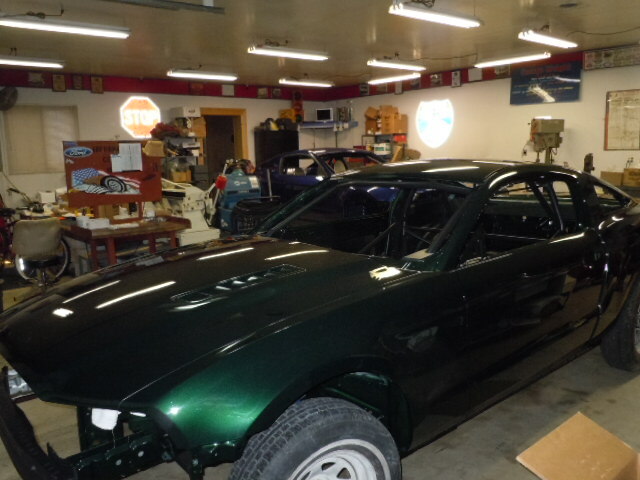 The roll cage was fabricated by MPR in Almont, MI. 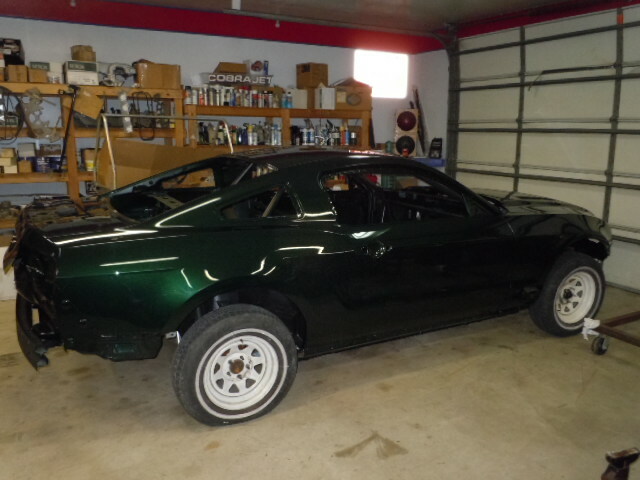 Jimmy Ronzello will assemble the 5.0L engine. Joel's CJ will be wired, plumbed and assembled in my shop. 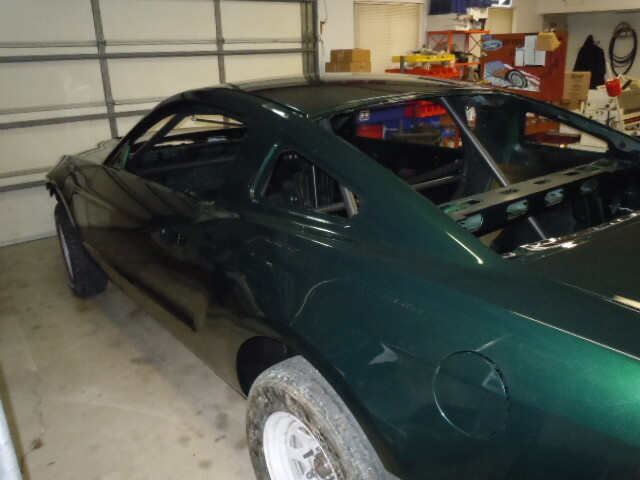 Joel's Bullet back from paint. Ready to assemble.